Ever since the great recession of 2007, interest rates on saving bank accounts have been close to 0. This means most of the emergency fund stays in accounts earning interest that barely beats inflation. However its pretty important to beat inflation and get better returns for your money. With that in mind, there are a few saving accounts which I have been using in last 2 years which give around 5% interest on savings with minimal requirements. This is an account that is managed by Republic Bank of Chicago and is FDIC compliant. So your money up to USD 250K is basically insured. This is a prepaid card which you can apply for using the process below. The application process requires a little work but I have got it covered. 3. Choose the pay as you go plan, since it has no fee and I am sure we do not want to pay any fee. 4. Enter info like your SSN, email and phone number and then hit next. A lot of times they are not accepting new applicants and just show this error message. Try going back into the same url and starting the application again later, or from home, or a different network or on a week day instead of weekend. Usually trying to alter one of those things works to get in an application. 6. Once you proceed from previous step, you might get a screen with verification questions like the nearest street, hospital, older address to verify your identity. 7. After you answer those questions, you will get a confirmation page saying your application was approved and you should now wait for the card. 8. However here is the twist, even after waiting for 2 weeks, it’s possible you won’t receive your card. In such case, just call them up and let them know about your application. They might ask you to re verify your address and then send you a card. This seems like a process rather than an anomaly because the next time I again applied for another card I had to do the same, but I was able to get the second card. 9. 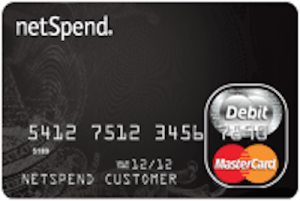 Once you receive your card, go online and create your account. 10. Next find the routing number and using another checking account which you use rarely or your hub account, setup an ACH link. I would suggest using Ally, Discover or Alliant, those 3 accounts have not given me any problems with connecting to Insight. Other major banks like Chase/BOA have been known to cause issues or refuse to connect with an insight prepaid account. 11. Once the ACH link is established, go to account online –> there is an option to enroll in savings account. Enroll for that. This will then give you access to the 5% interest rate per annum. I currently have 2 of these cards and keep receiving the 5% APR interest at the end of every quarter without a problem. From various other online blogs, it seems like the limit is 4 cards. But after applying for 2 I have hit a brick wall to bypass the error page in step 5 online. But 2 accounts have worked well for me. So on further research I was able to get my 3rd and 4th Insight card with 5K limit on 5% interest rate. 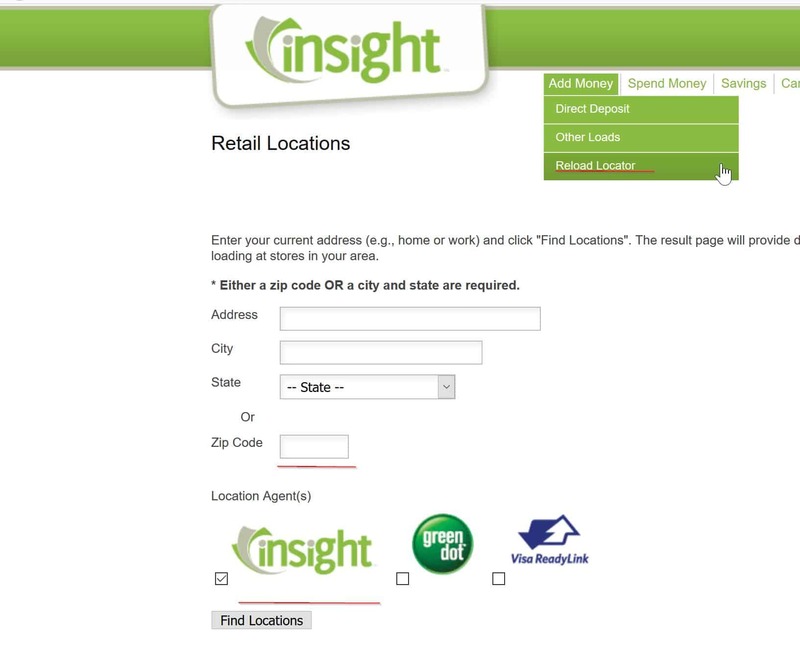 On the insight website, there is an option to search for local centers where you can load/get cards. In the results you can look at the nearest center and go down there and request for a new insight card. Most of these are payday loan centers and ask for your personal info to keep in file for some time. 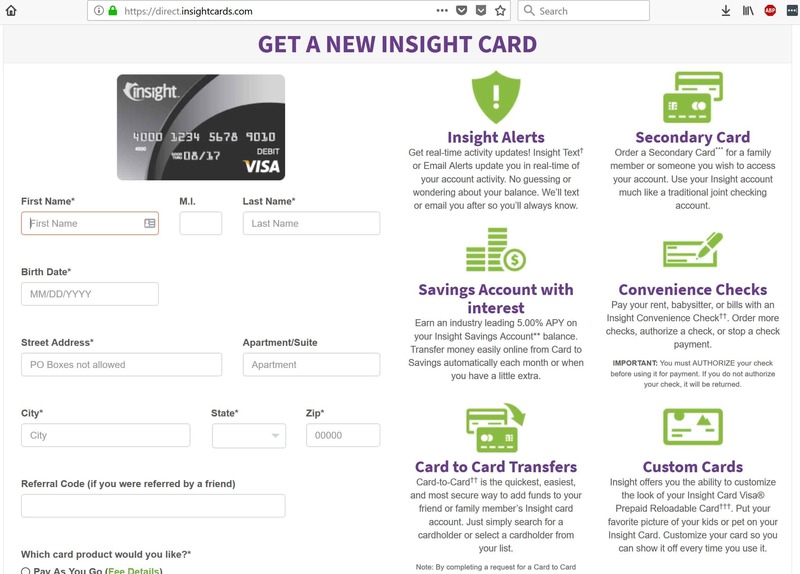 If you don’t find any, look for check cashing places in your area and try to walk in and ask them about the insight card. These places are allowed to issue you 2 cards and will bring you up to 4 total cards. 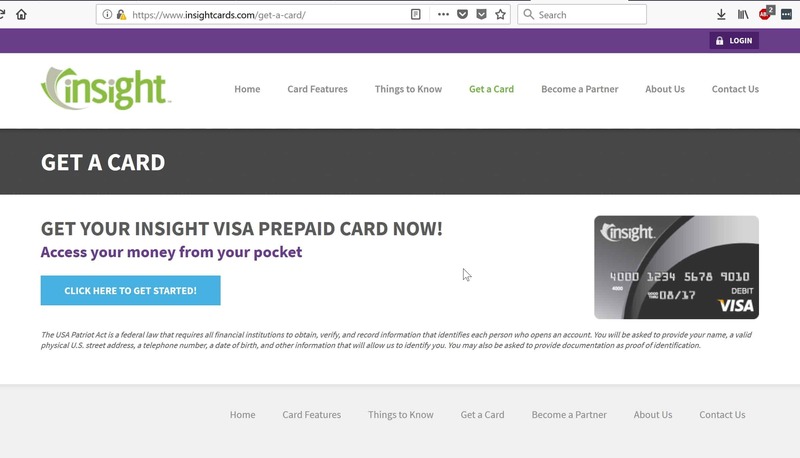 So looks like Insight is no longer offering the 5% savings account attached with the prepaid card. To me it looks like they were paying the 5% interest rate by borrowing money from FED . As the interest rates started rising it probably costs way more to pay these interests now. From some people who called in it looks like existing accounts might receive the interest at 5% only till July. So we will have to see then if its worth having this account anymore after then. Looks like Netspend is the only account now that works for 5% interest and allows multiple accounts. To earn 5% your money should show up in the savings balance and not the prepaid balance. You can only connect the prepaid account to your external hub/checking account. Move money from external Checking Account –> Insight Prepaid –> Savings account. To withdraw money move the money in opposite direction. There is a 3.95$ dormancy fee if you do not have a transfer or transaction on prepaid card every 3 months. Make sure to move 1$ from your external account to prepaid card every 3 months. 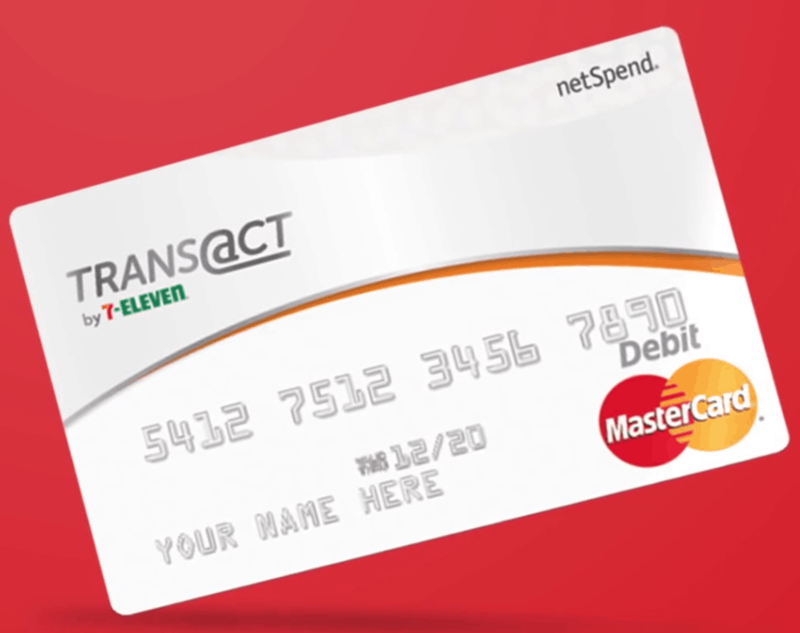 Since the transaction fee is 1$, make sure to never use this card as your shopping card. 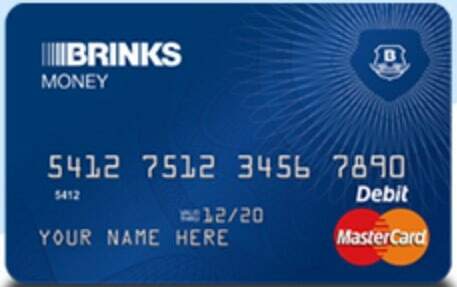 This card good only for earning 5% savings interest rate. Create an ALLY/Discover/Alliant checking account first to move funds to Insight card. There have been reports on many other forums that Chase and some other major banks shut down/cancel the ACH link to prepaid cards. So its way better to setup the ACH link from one of the 3 banks I mentioned to move money. 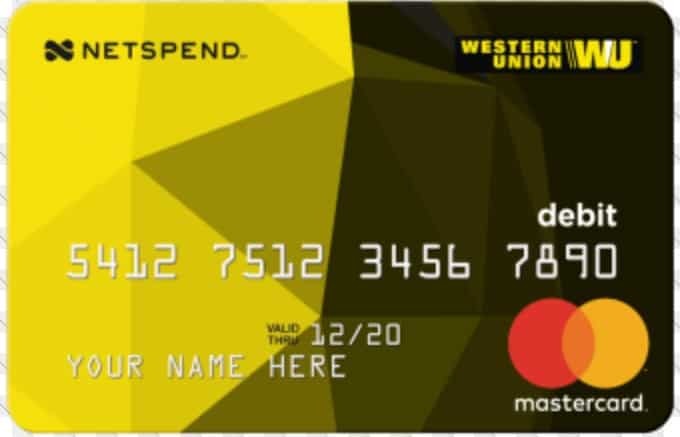 It’s another prepaid card which is offered by 2 big banks (Metabank & Bofi Federal Bank) in the US. Both these banks are FDIC compliant. So your balance up to 250K USD is safe. Benefits: 5% annual APR on savings account up to 1000$ in balance. It’s very simple, you input the details in the form and after you get approved and get your card you create an online account. After creating the account process is similar to Insight. You need to enroll for savings account that comes with the prepaid card. You will have to again connect your prepaid account using some external checking account. Ally, Discover, Alliant again seem to work very nicely with Netspend accounts. To earn 5% your money should show up under savings account balance and not prepaid account balance. Similar to last point in previous section, setup a Discover/Ally/Alliant checking account to link to prepaid cards. So if you get 4 Insight cards and put 5k on each and 5 Netspend cards and 1k USD on each you will be earning 5% annual saving accounts interest on 25K which would work out to 1250$ in interest every year! Whats even better is your partner/so can also get another 25K at 5% with accounts on her/his name. I am just a programmer in my day job and aspire to become a financially independent person. Learning and sharing knowledge is what I feel will help me the most on this FI journey and so I created this blog. Investing 101: Why Invest Money? Car buying: New, Used or None at all! How to take advantage of Credit Cards? Twenty something programmer by profession, passionate about technology, movies, finance, investing & current affairs.